My name is Christophe Lavieill. I am a musician and self-employed music teacher working in Coutances. Some fifteen years ago, the president and founder of Les Fleurs de la Mémoire Claude Lavieille, my father, asked me to compose a music which would represent Les Fleurs de la Mémoire. Music being a universal language, he wanted a melody against oblivion and for Peace. I then wrote this piece «Remember» which is registered at the SACEM but for which I withdrew from any rights. From then on, «Remember» became the association's anthem. 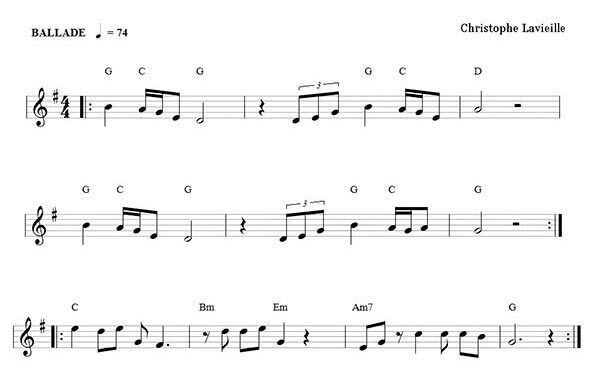 My parents, my relatives and the Towers family told me they really appreciate this simple, dignified melody. I am humbly grateful to them. For a long time I looked for an arrangement for a woodwind orchestra. I eventually retained the essential : a lone melody which merely rises in its starkness so as to remember and honor the sacrifices made by the ones who fought for our Freedom. We are lucky enough to have this piece played by a great artist, Airelle Besson. 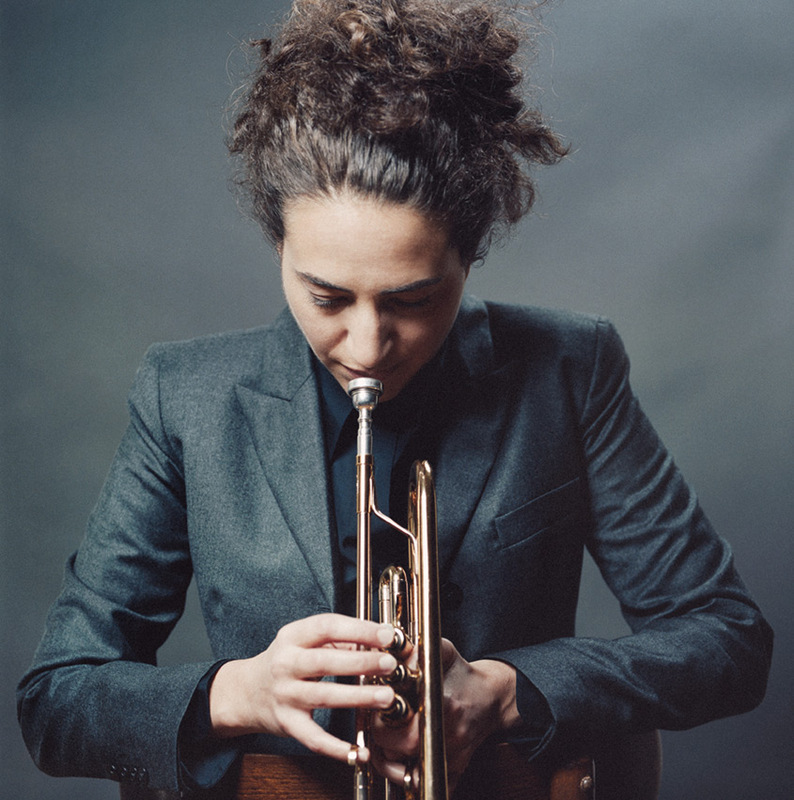 Being awarded the «Django Reinhardt» Prize from the Jazz Academy (best French musician of the year) and «Revelation» at the «Jazz Awards» in 2015, Airelle boast a great career. In Coutances, at the «Jazz sous les Pommiers» festival, where she in an artist's residence from 2014 to 2017, she made an impression with her project «Radio One», a quartet composed of the pianist Benjamin Moussay, the drummer Fabrice Moreau and the Swedish singer Isabel Sörling. Their album was released in 2016 by Naïve and was given, like «Prélude» her duet album with Nelson Veras, an enthusiastic and unanimous welcome from both the media and the public. This release went along with several concerts in France and abroad. In 2017, Radio France and all the european radios chose Airelle to direct the 2017 Euroradio Jazz Orchestra. She composed, arranged and directed an hour of music for this orchestra made of 14 young european musicians. The creation see the day on the stage on Radio France's Studio 104 and is followed by a series of concerts in the main Jazz festivals in France. Trained especially by Wynton Marsalis, Pierre Gillet et Kato Havas ( Yehudi Menuhin's student) in Oxford, graduated from CNSM (conservatoire) in Paris, the multi-talent trumpet player enlightens the european jazz stage at the head of her projects : Airelle Besson Quartet « Radio One », her duet with Vincent Ségal, her duet with Lionel Suarez and the trio Besson/Sternal/Burgwinkel. She is also a member of Lionel Suarez 's Quarteto Gardel (album released in 2018) and of Trio Aïrés (album released in 2017). She appears in about sixty albums and to this day (May 2018) counts more than a hundred compositions. Elle apparaît sur une soixantaine d’albums et compte à ce jour plus d’une centaine compositions. On behalf of Les Fleurs de la Mémoire, I thank her for this generous present.